If a company has been making something for 100 years, we’re guessing it knows what it is doing. Which brings us to the Easy Rider Learner Scooter by Formost. It’s one of a range of wooden toys available (discounted) from the German company at Monoqi right now. 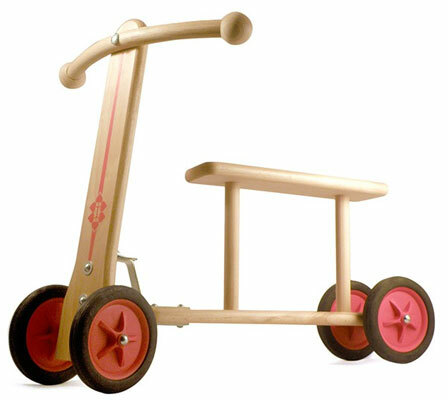 This one is said to be suitable for children three years and up, described as a minimalistic classic with four plastic wheels, a screenprinted design and of course, a beech wood frame. It’s a model that has been teaching kids to scoot about for 50 years and can be yours for €30 right now.